Wednesday | May 10, 2017	It is all about the kids! 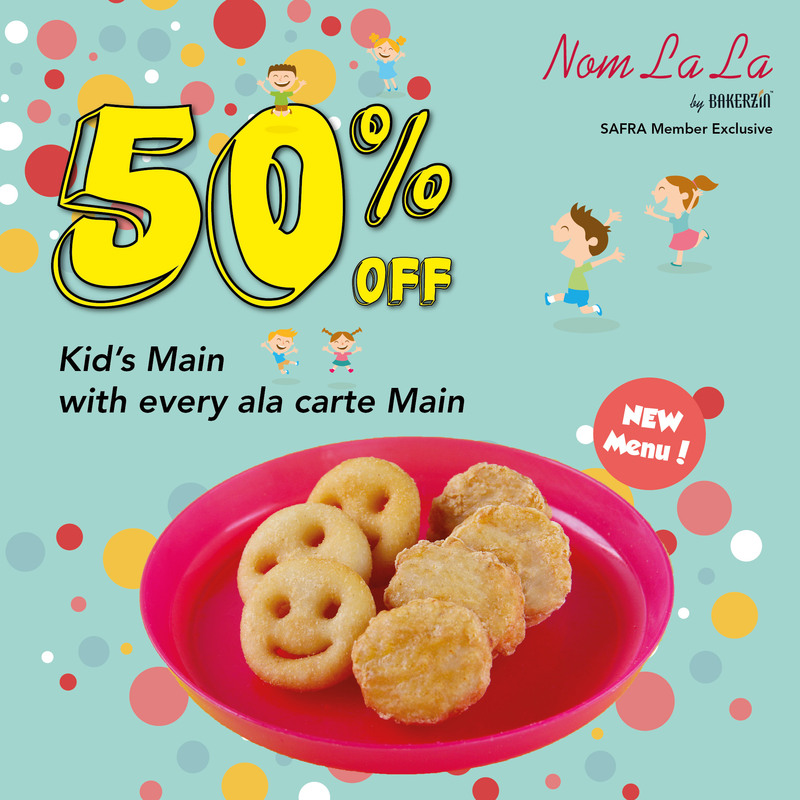 Be pampered with Nom La La’s new range of Kid’s menu, from Classic Han & Cheese Macaroni to Signature Chicken Nuggets with Smiley Fries. We also have the child-friendly ambiance that you are looking for. Not to miss this good deal, check it out at our Nom La La by Bakerzin at SAFRA Punggol today!